This stunning fully furnished 2 story P-Hse lives like a single family home in the sky! Beautifully & tastefully remodeled in 2014. Featuring; 4 zoned Central AC, 7 lanais w/wonderful views, 2 car prkg, guest prkg, semi-private rooftop deck, pool, BBQ & more! Offering; spacious living areas, a HUGE Gourmet kitchen w/wine chiller, soft-close drawers, 3 door French refrigerator, ample counter space, lots of storage & built-in seating for 4! Plus extra storage, on-site manager & more, make this home truly unique. Perfectly located in East Waikiki; across from the Ala Wai & a heartbeat away from Waikiki's famed beaches, surfing, world class shops & restaurants, make this gorgeous 2 story home in the sky a one of a kind opportunity for the truly discerning Buyer. 2 Parking Spaces. Assigned Parking Space, Compact, Garage, Guest Parking, Street Parking, Tandem. 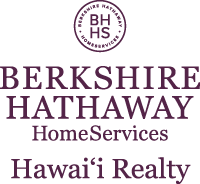 I am interested in 311 Ohua Avenue UNIT PH3, Honolulu, HI 96815. Courtesy: Island Heritage Realty, Inc.
Sign up for Inside AccessTM to view recent sales near 311 Ohua Avenue UNIT PH3.